What is real love? Little Ava Jacobs is dying to find the answer to this seemingly simple question. Through a mother's patience, grandparents' joy, and a couple's kindness, Ava finds the meaning of real love. Amberly Kristen Clowe has been writing stories since she was a little girl. She studied children’s literature in college and graduated with a degree in early childhood education. After college, Amberly taught second grade for several years. Her students inspired her to revisit her passion for writing children’s literature. 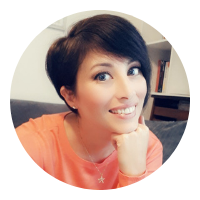 She credits them as the inspiration for her first picture book, Katie Ling Fashion Queen, which was published in 2011 with AwareNow Publishing. I Really Love You, Ava is Amberly’s second picture book. Her son, George, inspired this story about love and family. Today, caring for her son, George, and daughter, Emma, along with tackling her many writing projects, keep Amberly very busy. She lives in Texas with her husband, son, two dogs, and six fish. 5.0 out of 5 stars A Love Story...for kids! What a sweet concept for a children's picture book! In our home, we try to teach our kids that love isn't just something felt, or just something we say; it's something shown through our actions! LOVE is a verb! I Really Love You, Ava does a fantastic job expressing that very same sentiment using every day occurrences that children witness within their own families. Lovely story and adorable illustrations! 5.0 out of 5 stars Love Shown Not Just Told! Recently the author of this book asked me if I would be willing to give her an honest review. I managed to squeeze this cute picture book into my lineup and was very glad that I did. 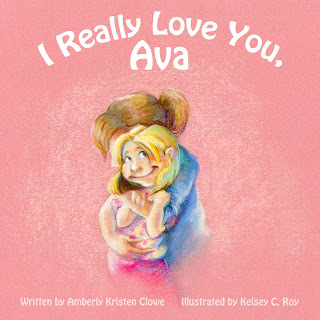 "I Really Love You Ava" is an extremely well written book about a little girl searching for real love. Her mother tells her she will know it when she sees it and Ava does just that. I loved the concept of Ava not just hearing that people loved her, but that she was able to identify love when she saw it. Thank you Miss Clowe for this wonderful story and may we see many others in the near future! 5.0 out of 5 stars Great Bedtime Read! We have always tried to emphasize that our actions speak louder than our words to my 4-year-old (and now his younger sister, as well). What a cute addition to our bedtime lineup! A handful of common family interactions clearly demonstrate that "real love" is all around us, if you just look for it. (And the illustrations are GORGEOUS!) Highly recommended!! I read this today with my 4 year old daughter. We both enjoyed it very much. My little one loves to hear about love and was delighted ot see a picture of mommy and daughter nose-to-nose in a cuddle, something we do often. My heart squeezed at the images and words with the grandparents. Not everyone is as lucky as us, to have all four grandparents in our children's lives. I Really Love You, Ava is a precious nighttime read. I wrote this book about a year after my son was born. The love that my family has for our son has completely blown me away. They really do love him (and now our daughter as well) like their own children. No one seemed to mind that the majority of our dinner conversation revolved around what George did that day. No one cared when he spit up on them, which just so happens to be the first example that helps show Ava real love. Everyone was truly as giddy as my husband and I about every first giggle and step. That unconditional love really touched me and was how I Really Love You, Avabegan. What you would like to share? This book was created to entertain children with Ava's exciting search for love, but was also created to bring families together. We are so easily distracted by life's hustle and bustle. I wanted to help families pause and appreciate one another and in a fun way. This is one of those stories that not only kids enjoy, but parents can't help but smile when their child reaches for it. Any future titles coming soon? My picture book, The Bouquet That Lost its Way, will be published soon by Family Fair Press. This is also a picture book with a lot of heart. It takes a tiny tulip with big dreams to help change a very disheartened bouquet.